That is the name and boy, did they ever! What a great Friday I had. WoW! And who could not have had a great day visiting the Muny Opera Pavilion in Forest Park, joining 400 seniors – for singing and dancing, awards, and good eats. Productive Aging in Action! I met a lady 101 years old (see her photo dancing with Ollie on my twitter feed). 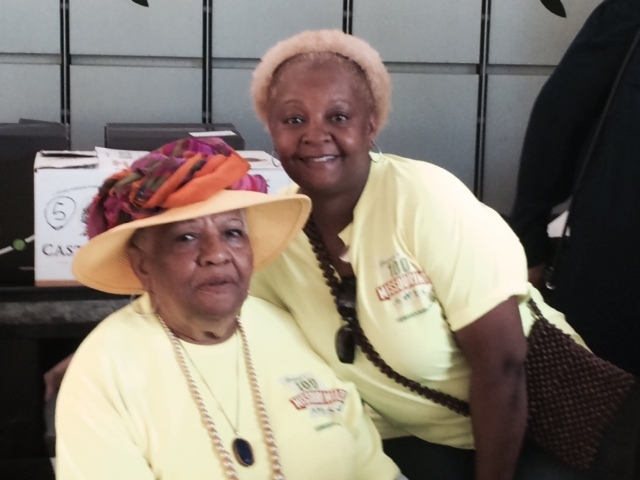 Lucky me…to be invited by my new favorite buddy, Ms. Ollie Stewart. Ollie is a treasure. She is the Executive Director & Founder of Southside Senior Center and one of the most beautiful of ladies both inside and out.